BA / Unite Strike Update. The Unite union which is representing British Airways’ Mixed Fleet cabin crew has now cancelled its threatened industrial action which was due to take place on Christmas Day & Boxing Day. As a result BA will be running its normal schedule. 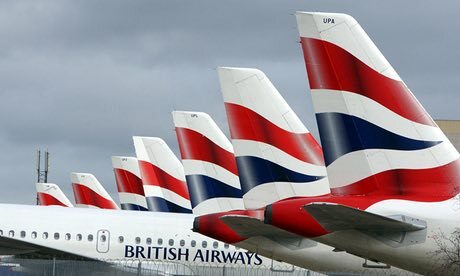 A great result for BA’s customers and the travelling public! https://gtm.uk.com/wp-content/uploads/2016/12/3239.jpg 276 460 Paul https://gtm.uk.com/wp-content/uploads/2015/05/logo_trans.png Paul2016-12-23 10:40:522016-12-23 10:40:52BA / Unite Strike Update. Air France & Lufthansa Strikes. Unfortunately there are two planned strikes taking place this week, please see the details below. Firstly, Air France has said that it has been forced to scrap more than half of its scheduled flights starting today, Monday 15th September, for one week. Its pilots are striking over the French flag carrier’s plans to develop its own low-cost subsidiary airline. Lufthansa’s pilots are also out on strike again tomorrow (Tuesday 16th September), this time the dispute is over their pension and an early retirements scheme. We (Global Travel Management) are constantly checking all of our bookings for affected flights, and will be in contact if you are on a cancelled service, however, please also feel free to contact us if you have any immediate concerns. Please also remember to check in for your flight online so that the airline can also contact you in the event of any last minute delays/cancellations. https://gtm.uk.com/wp-content/uploads/2015/05/logo_trans.png 0 0 Paul https://gtm.uk.com/wp-content/uploads/2015/05/logo_trans.png Paul2014-09-15 13:20:042014-09-15 13:20:04Air France & Lufthansa Strikes. Lufthansa pilots’ union confirms further strike action this week. The Vereinigung Cockpit union, representing pilots at Lufthansa, have confirmed their intention to hold a further strike again this week. It has been confirmed, pending any further talks, that the strike will run from Wednesday 2nd April through Friday 4th April inclusive. However, the union has also said that it is ruling out any further strikes over the Easter period. Last week’s action included pilots at Lufthansa, Lufthansa Cargo and German Wings. As always, we (GTM) will be contacting any customers whose bookings are affected with further information. However, it is equally important that anyone holding a Lufthansa ticket for travel this week, should check in online, particularly as aircraft and crew will be out of position; meaning flights this coming weekend may also be affected. https://gtm.uk.com/wp-content/uploads/2015/05/logo_trans.png 0 0 Paul https://gtm.uk.com/wp-content/uploads/2015/05/logo_trans.png Paul2014-03-31 09:30:072014-03-31 09:30:07Lufthansa pilots' union confirms further strike action this week. Air Traffic Controllers (ATC) in France are planning industrial action from 1900hrs (local time) today, Monday 17th March, until 0600hrs on Wednesday 19th March. We have been advised that numerous French public service providers will take strike action across France tomorrow, Tuesday 18th March, for 24 hours. This will include Air Traffic Controllers (ATC), which will mean flights to and from France, as well as flights that fly over French airspace, will be affected. The ATC action actually begins this evening (Monday 17th March) at 1900 local time and will last until 0600hrs on Wednesday 19th March. As a result of the strike action, all airlines have been asked to cancel a number of flights into and out of France. Additionally we would also like to advise you that public transport across France will be affected too and you should consider this in your plans to allow sufficient time to get to/from the airport. We (GTM) have already checked our systems and are in the process of contacting all affected travellers. https://gtm.uk.com/wp-content/uploads/2015/05/logo_trans.png 0 0 Paul https://gtm.uk.com/wp-content/uploads/2015/05/logo_trans.png Paul2014-03-17 15:49:452014-03-17 15:49:45French ATC Strike. European ATC Strikes 29-31 Jan.
Air Traffic Controller (ATC) in a number of European countries are planning to take strike action over the next few days (29-31 January). Flights to Italy are expected to be the worst affected, however, other European flights may also be re-timed so that they operate outside of any strike action. We (GTM) are actively assessing and contacting all of our affected customer’s bookings to advise on cancellation or re-booking. As always, we strongly recommend that you check in online for your flight in any event. https://gtm.uk.com/wp-content/uploads/2015/05/logo_trans.png 0 0 Paul https://gtm.uk.com/wp-content/uploads/2015/05/logo_trans.png Paul2014-01-29 07:30:462014-01-29 07:30:46European ATC Strikes 29-31 Jan.
Lufthansa staff strike at Paris CDG. French trade unions have called upon Lufthansa staff employed at Paris Charles de Gaulle Airport to participate in strike actions on Wednesday November 20th from 5 pm to 7 pm, on the following three days (21st, 22nd and 23rd November) from 7 am to 9 am and from 5 pm to 7 pm, and all day on Sunday November 24th. As a result of this strike, flights to and from Paris may be disrupted. Flight re-schedulings, delays and cancellations are to be expected. https://gtm.uk.com/wp-content/uploads/2015/05/logo_trans.png 0 0 Paul https://gtm.uk.com/wp-content/uploads/2015/05/logo_trans.png Paul2013-11-20 18:29:022013-11-20 18:29:02Lufthansa staff strike at Paris CDG. Please note that Iberia’s Cabin Crew and Ground Staff have voted for strike action from 18 to 22 February 2013. Iberia are, therefore, offering passengers (with a ticket number starting 075) the choice of changing the date of their flights, or, on a refund on them. We (Global Travel Management Ltd) have already begun the process of contacting those customers who have booked a flight with us, during the aforementioned period, to assist with any changes, however, should you not have heard from us please do get in contact. https://gtm.uk.com/wp-content/uploads/2015/05/logo_trans.png 0 0 Paul https://gtm.uk.com/wp-content/uploads/2015/05/logo_trans.png Paul2013-02-11 16:23:002013-02-11 16:23:00Iberia Strike Action. Unions representing Iberia’s ground staff and cabin crew have announced six days of strike action, to be staged before Christmas. The dates announced for industrial action are December 14th, 17th, 18th, 19th, 20th & 21st. The strikes are being held in protest at restructuring plans announced by the airline’s parent company, International Airlines Group (IAG). The plan, announced on 9 November, aims to stem the carrier’s cash losses by mid-2013 and add €600 million to profitability by 2015.
would destroy Iberia” and have refused to negotiate with the airline’s management. https://gtm.uk.com/wp-content/uploads/2015/05/logo_trans.png 0 0 Paul https://gtm.uk.com/wp-content/uploads/2015/05/logo_trans.png Paul2012-12-04 09:15:532012-12-04 09:07:12Iberia Pre-Christmas Industrial Action.